Master the language of the world’s most populous country without leaving London. Our experienced teachers will get you up to speed quickly with bespoke Mandarin lessons designed for your own professional goals. Start speaking fast with our innovative teaching method, based on years of experience teaching Mandarin to Westerners all over the world, which separates character recognition from spoken Chinese. Whether you’re preparing for a business trip and want to get an advantage over non-Mandarin speakers, or are about to head off on vacation and want to make your trip easier and more rewarding, we can help. Founded 10 years ago by European entrepreneurs, we’ve since introduced over 5000 students to China and Chinese language. Originally based in Beijing, we now have branches worldwide including Sydney, Moscow, Milan, Brussels, Paris, London and Shanghai. 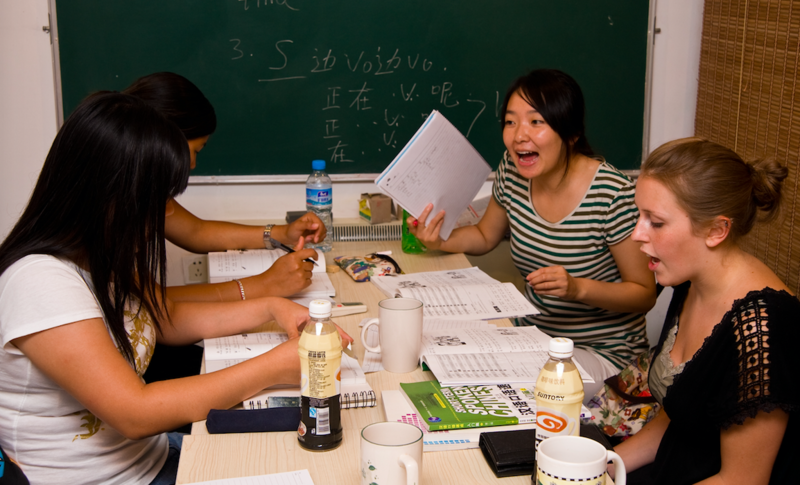 Study with the Hutong School in London and you’ll be taught by people who understand the huge challenge of mastering Chinese language, and how to make this as easy, useful and rewarding as possible for you. Our students love Hutong School. Read their reviews and testimonials here. Our teachers are experienced professionals who are native Mandarin speakers and fluent in English. Ying Li has an MA in Applied Linguistics and TESOL from Newcastle University and over 7 years of Chinese teaching experience. She has taught Mandarin in Nanning, China as well as Newcastle and London. Qin Wan got her MA in Applied Linguistics and Language Pedagogy at the University of London. She has 6 years of Chinese teaching experience, having taught in Shanghai and most recently in London. Hutong School London is located in the heart of the Bloomsbury district. Holborn (5 minutes), Chancery Lane (8 minutes) and Russell Square (10 minutes) underground stations are all within easy walking distance of the school.